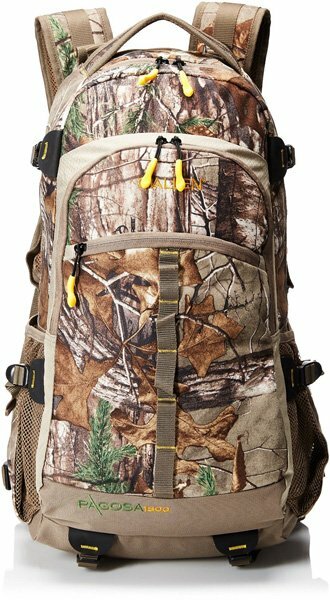 Many regard the Allen Company Pagosa Daypack, 1800 Cubic Inches as one of the most useful hunting packs on the market in the sense that it comes equipped with lots of important features that many similar packs out there can only dream of. The purpose of the Allen Company Pagosa Daypack, 1800 Cubic Inches review below is to acquaint readers with the most important features of the Pagosa Daypack as well as its pros and cons. We shall also take a look at some of the most frequently asked questions by customers. Hopefully at the end of the review, the reader would be able to decide for him or herself whether this pack fits the bill or not. 1.7.1 Q. Who are the manufacturers of the Pagosa Daypack? 1.7.2 Q. Does the pack come with a warranty? 1.7.3 Q. How much does the Pagosa weigh? 1.7.4 Q. What are the Pagosa’s dimensions? 1.7.5 Q. What colors can I purchase the Pagosa in? 1.7.6 Q. What is the pack’s capacity? 1.7.7 Q. Is the pack hydration compatible? 1.7.8 Q. Is the waist belt adjustable? 1.7.9 Q. Is the Pagosa’s waist belt detachable? You might have all the best hunting gear money can buy but if your hunting pack doesn’t make it possible for your presence to be hidden from game, then this drastically reduces your likelihood of having a successful hunt. The last thing every hunter wants to do is advertise him or herself to game. Unfortunately, certain hunting packs in the market do exactly this (announce the hunter’s presence to the animals) with the noisy fabrics that they are made of. But this is not the case with the Pagosa Daypack since it is made of a very quiet brushed tricot fabric. The Pagosa’s excellent “quietness” is one of its key features that not only makes it a very good hunting pack but also separates it from other hunting packs on the market. Another excellent feature of the Pagosa that separates it from other packs on the market is its lining and zipper pulls that come with such brightness that they are capable of brilliantly illuminating the inside of the pack. Why is this feature so important? It is important because it allows you to easily find the contents of your pack in low light conditions. A hunting pack isn’t fit to be added to the list of the best hunting packs if it is not hydration compatible. With an excellent dual water bottle holders or pockets, the Pagosa Daypack is one of the most hydration ready hunting packs you can currently get on the market. All you need to do to enjoy the excellent hydration feature of the Pagosa is insert your water bottle(s) into the holder(s) and you are ready to conveniently quench your thirst on the go. Compression Straps: The compression straps are one of the essential features of the Pagosa that endear it to many hunters. Why are these straps important? The compression straps that crisscross the sides of the Pagosa allow the wearer to compress or squish the load in the pack effectively in order to make it easier and more comfortable to carry load. There are times when the pack is not loaded with enough gear to fill its maximum capacity. In such a situation, the extra space in the pack leads to the highly uncomfortable load sway. It is at this point that the compression straps become extremely useful since they close up the extra space and prevent the uncomfortable load sway, thereby significantly enhancing the wearer’s comfort. Sternum Strap: The pack’s padded and highly adjustable sternum strap enhances the wearer’s comfort by taking the pressure of the pack’s weight off his or her shoulders and distributing it more evenly. 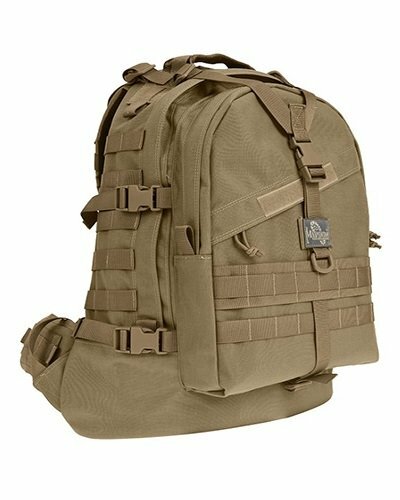 Padded Shoulder Straps: The pack features a very comfortable pair of padded shoulder straps that can easily be adjusted for a nice and snug fit. Adjustable Waist Belt: Another prominent comfort enhancing feature of the Pagosa worth mentioning is its adjustable waist belt that has the ability to take the bulk of the pack’s weight off the wearer’s shoulder and transfer it to his or her hips, thereby enhancing comfort. In addition to this, the waist strap can be adjusted up to 52″, which means regardless of how big you are, you can fit you well. Back Support Panels: The Pagosa’s excellent back support panels are not only contoured to your back but are also fully padded and lined with mesh to allow for plenty of air to circulate between the pack and your back to reduce sweating and enhance comfort. The pack is so quiet that it makes it so easy for you to conceal your presence from game. It comes with several comfort-enhancing features such as an adjustable waist belt, a sternum strap and padded shoulder straps. It allows you to keep your gear organized. The Pagosa’s waist pockets allows the wearer to store handy items such as keys, phone, sunscreen, etc and makes them easily reachable without taking off the pack. It is hydration ready and comes with dual water bottle holders. It comes with excellent back support panels. The construction quality could have been better. Q. Who are the manufacturers of the Pagosa Daypack? A. The pack is manufactured by The Allen Company, which is one of the world’s leading manufacturers of hunting, shooting and several other outdoor products. The Allen Company has been in business since 1970. Q. How much does the Pagosa weigh? A. The pack has a total weight of 3 lbs. Q. What are the Pagosa’s dimensions? A. 13.5 x 22.5 x 5 in. Q. What colors can I purchase the Pagosa in? A. You can get the Pagosa Daypack in Realtree Xtra or Mossy Oak Break-Up Country camo. A. The Pagosa has capacity of 1800 cubic inches. Q. Is the waist belt adjustable? Q. Is the Pagosa’s waist belt detachable? 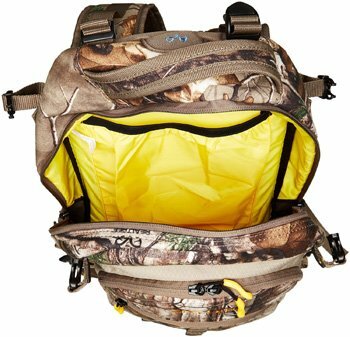 In addition to all its very useful features, the Pagosa Daypack comes with an 1800 cubic inch capacity that allows the hunter to easily and comfortably carry all of his or her important hunting equipment to the woods. If you are looking for hunting pack that will contribute in making your hunting expeditions more comfortable and successful, then the Pagosa Daypack is definitely worth considering.